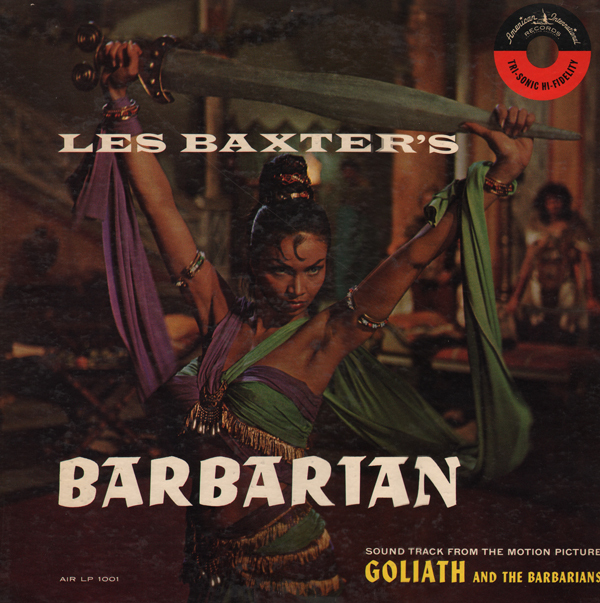 Soundtrack from Goliath And The Barbarians starring Steve Reeves. Baxter's name was well positioned on marketing materials to help promote this 1959 Italian strong-man movie in the U.S. 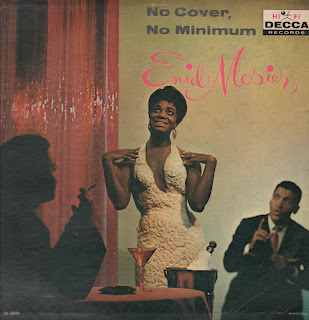 The January 4, 1960 Billboard liked the record and commented on the "eye catching" cover. Apparently this record was reissued in 1978 featuring a cover taken from the movie poster (which is reproduced in black and white on the back of this album). A CD with both Baxter's Master Of The World and Goliath and the Barbarians scores are available on CD, all though today, the asking price is over $100 on Amazon. I found my vinyl copy at a real record store for $7. Who would pay that much for a CD? I do love the cover, the score is professional and I'm sure possibly more than the movie deserves, but frankly, there are better Baxter albums to be collected. This movie seems right for the Baxter "exotica" treatment but the music seems "safe" except for Fire Dance, a track on the B side, which is smoking cool. 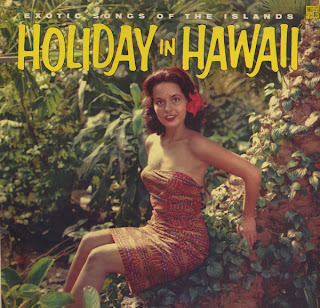 I finally found a great copy of this fabulous album. I was mainly interested in the awesome cover art, but the music is, likewise, unique. 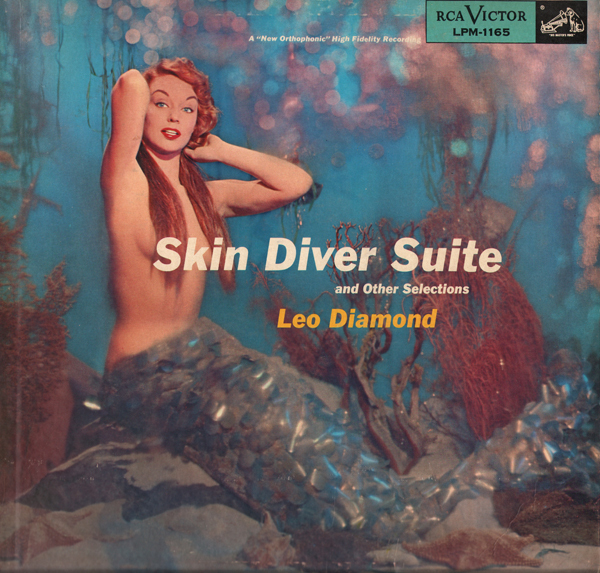 The Skin Divers Suite plays through on side one as one continuous piece of music (a blend of soundtrack and exotica), a very cool and inventive piece. 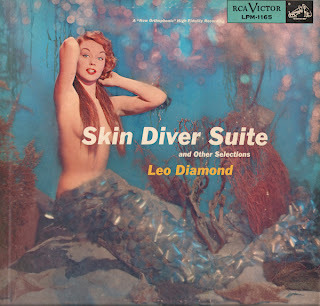 The back cover claims that Diamond merged his hobby, skin diving, with his art to create this piece. 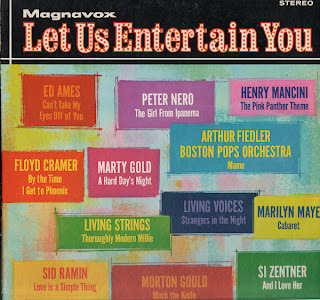 Generally, I'm not to hip on harmonica driven music, but this recording goes way beyond your standard harmonica fare. 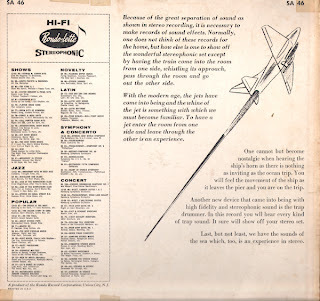 Apparently I also need to look for copies of Diamond's Subliminal Sounds and Exciting Sounds from Romantic Places which are highly thought of experiments in harmonica. This record, appears to be Diamond's first. Side two is more straight forward mood, but seems stylistically way ahead of what mood would become a few years later. Tracks include: April Again, Melinda, Wendy, Reminiscing Interlude, Ride The Dark Hills Home and All I Desire. Here we have another album that needs no title. The songs sell the record. Buyer beware, of course, you are not buying the original artists. Up here in The Atomic Attic we flip right past the original artists in the thrift store record bin and go right for the lame and awful! 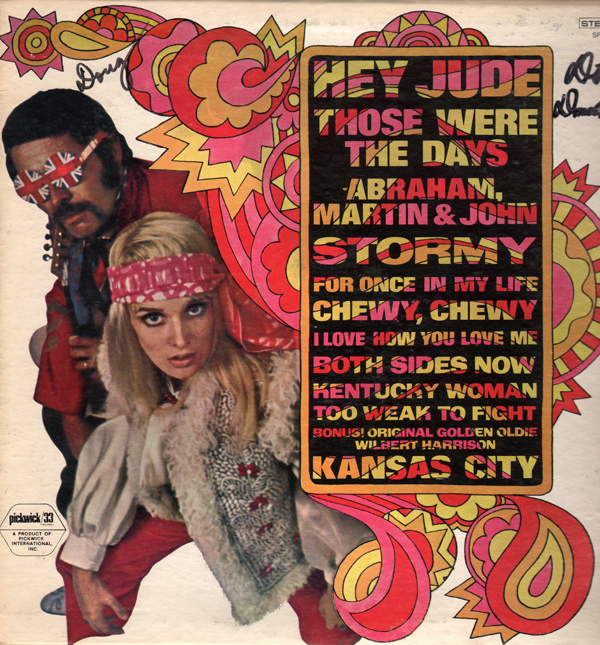 Not to mention groovy 60s covers. Sadly... Hey Jude isn't over-the-top. However, there are a few tracks that are. The jacket notes are also out of control. Here's an excerpt: This (King's Road - the cover band) is their bag. The sounds of today-made their way. The explosive anger of the young cry out against the senseless slaughter of this time's martyr's in the plaintive Abraham, Martin & John. Cut to the bitter sweet nostalgia or yesterday's love in Those Were The Days. Every member of Kings Road swear allegiance to their demigod – and Lennon McCartney's Hey Jude became their thing. The groovy feelings of being young, being now, are what today's hip composers created on this record. This is King's Road. Dig? 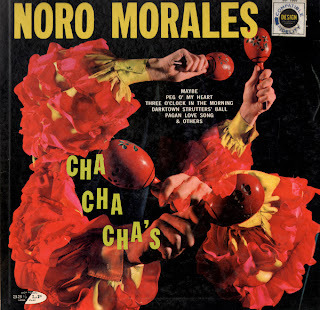 Here is an obscure album that features a creepy cover. From the September 6, 1969 Billboard: Decca plans a full-scale promotion for the first single and album of the Midas Touch, arranged and produced by Al Ham, Ham formerly was associate director of Columbia Records pop a&r under Mitch Miller. He has been concentrating recently on film scoring, composing and radio and TV commercials. This is total late 60s AM mood/pop with no credit given to group personnel. 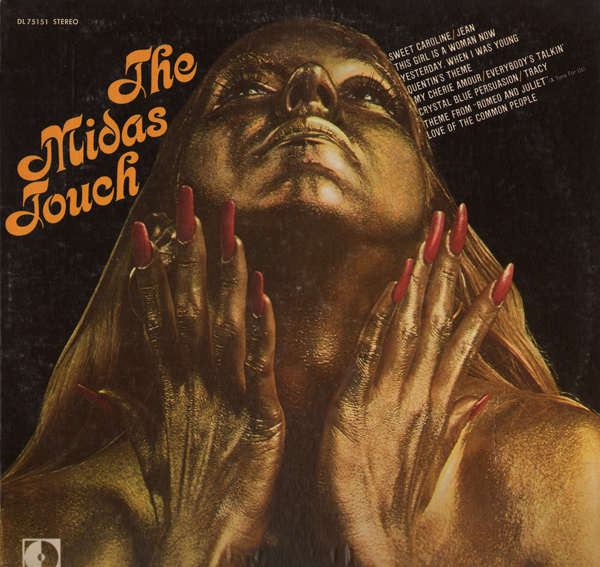 I think there was a follow-up Midas Touch record titled Color My World. I bet one of the colors isn't gold! 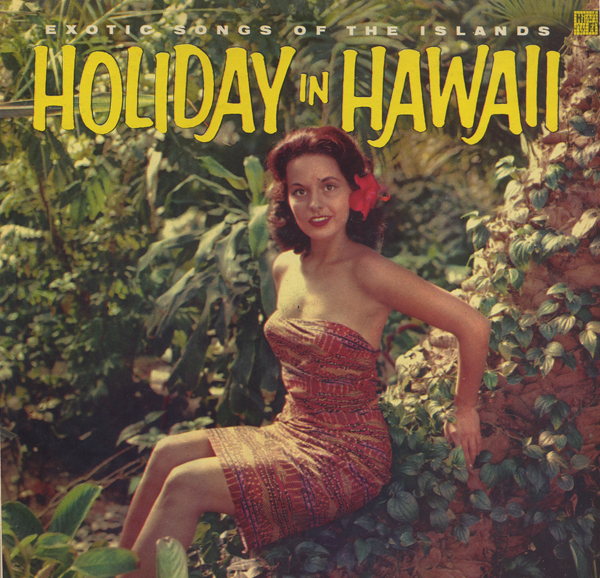 This album received a brief in the February 23, 1959 Billboard under the heading of "Low-Price Sound". Rondo is an obscure label out of Union City, N.J. 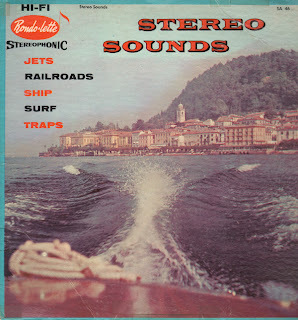 Unlike many sound effects LPs which offer a variety of singular sounds, this record offers long tracks of ambient sound associated with the title of the track. I enjoyed listening to it almost as if it was an abstract piece of music. I almost set it aside, but wondered what a "trap" sounded like. Apparently a "trap" (set) is another way of saying "drum" (kit). So the first track on the B side, Traps, is an excellent and surprise piece of uncredited space age music. 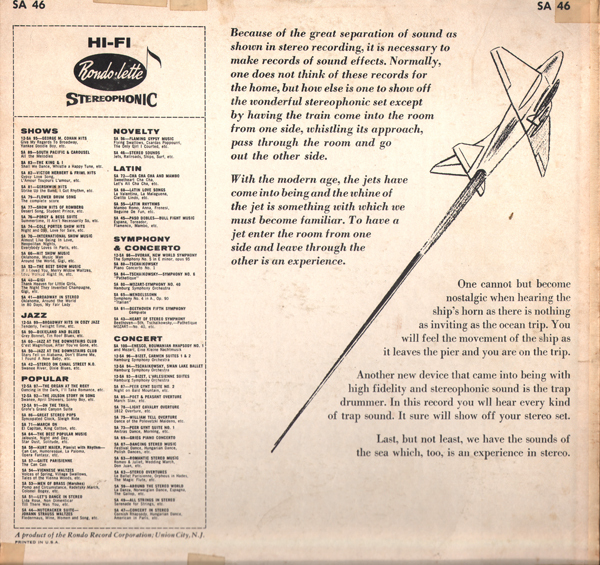 The record was marketed as a way to "show off " your "wonderful stereophonic set". In a way, it does just that. This is a great oddball record! Surprises are sometimes found on the records found inside of non-descript album jackets. 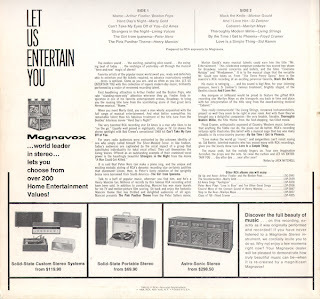 Take this Magnavox promotional tool for instance. In 1968 this cover was a yawn fest. I bought the album for the photos on the rear cover. Note that the floor model console on the far right. 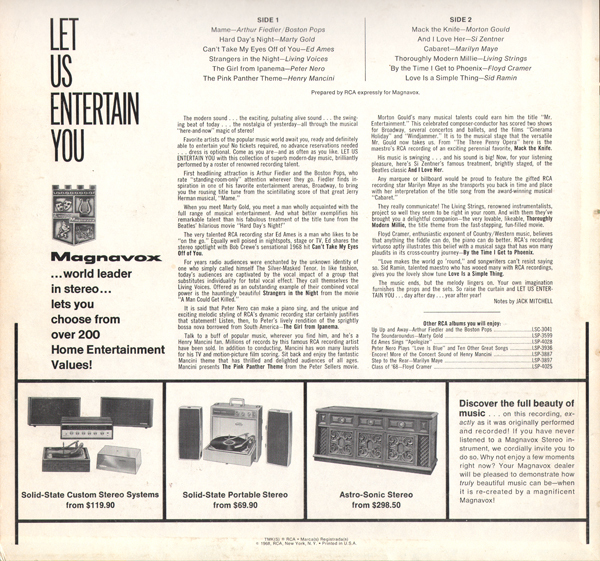 Magnavox named the machine the Astro-Sonic Stereo! LOL! That design is pretty much NOT Astro-Sonic! Anyway, when I find a cover that is Dullsville... I always go to the track list to see if there is any hopeful artists or covers. The Marty Gold cover of The Beatles Hard Days Night perked my interest. It's great! Si Zentner also does a Beatles cover, And I Love You. The entire album turns out to be pretty darn cool. I even managed to tolerate a show-tune wedged onto side 2. 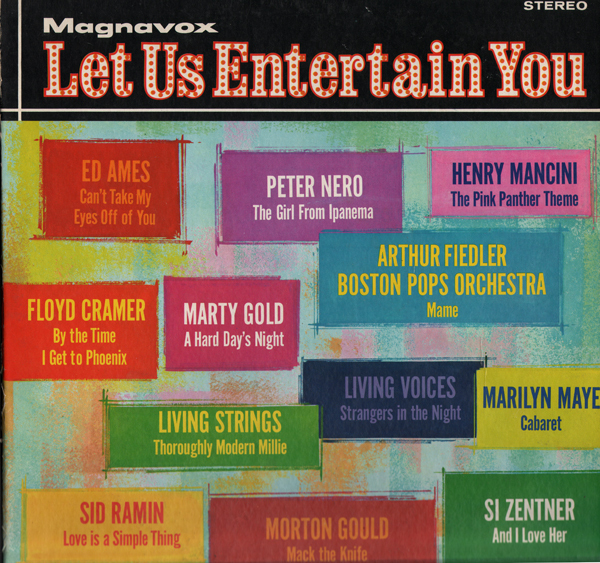 Whoever produced this at RCA for Magnavox did a great job of picking tunes and positioning them on the album to make for an enjoyable play through. 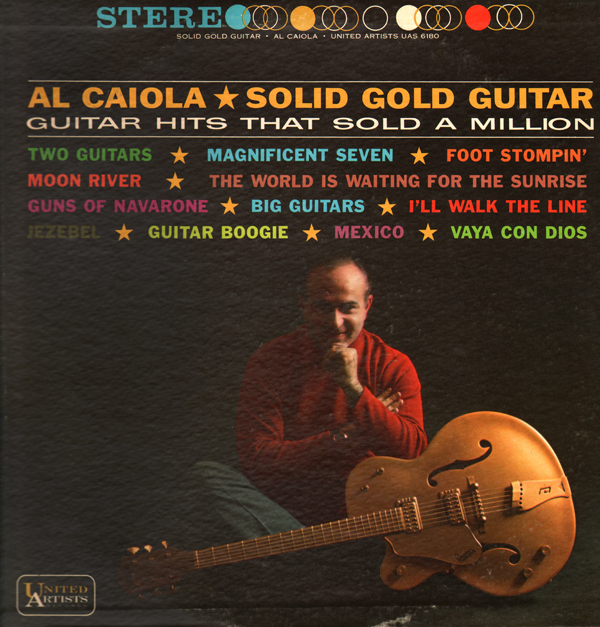 There is an interesting article on Caiola in the May 21, 1966 Billboard: Al Caiola, who records for the United Artists label is planning to come out of the the confines of recording studios for a crack at the in-person circuit. At the urging of Ashley-Famous, Caiola has been asked to consider a solid booking contract at one of the top clubs in Las Vegas, but Caiola has held back on his okay until he can look over the club. Caiola believes that if and when he takes an in-person assignment, the club should offer virtually the same advantages he gets in a recording studio. He's especially interested in the acoustics of the room so that he can get a duplication of the sound that's made him a hot seller for United Artists Records. The article goes on to say that Caiola produces a minimum of 60 sides a year, both albums and singles, to UA. On many dates he serves as arranger, conductor, composer and soloist. 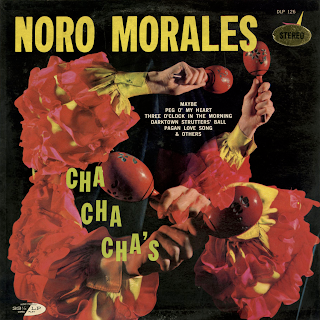 On this album he served as arranger along with Nick Perito and Don Coasta. 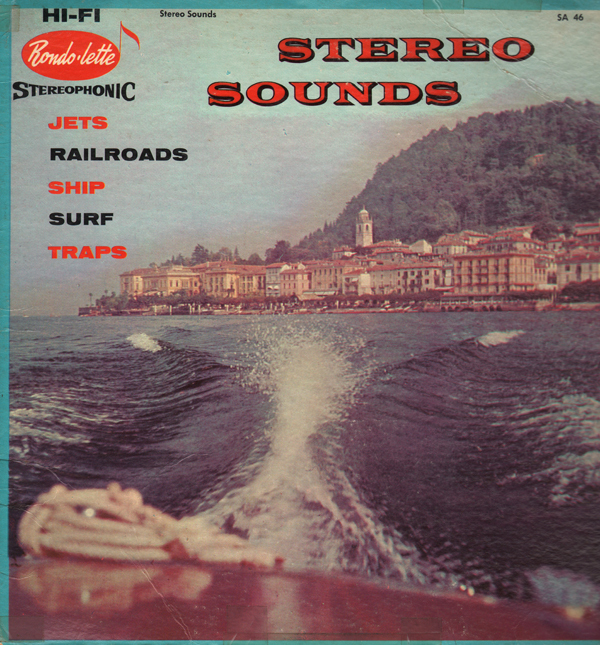 The album is fun early 60s guitar play that sounds like tracks from movie or TV projects done up in a fat sound. This should be no surprise because Caiola, according to his Wiki page was doing a lot of movie, TV and commercial work for UA around this time. 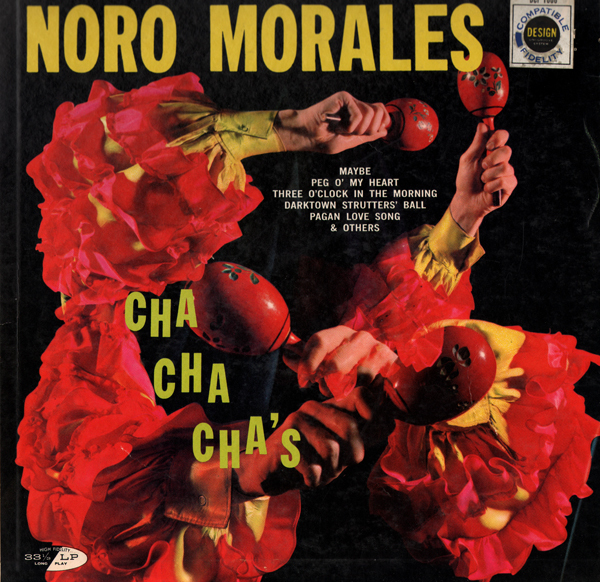 Morales passed away at the age of 53 in 1964 of the effects of chronic diabetes. The New Enjoyable Way To Exercise! Why no one picks these exercise albums out of the bin at the thrift I'll never know. OK... admittedly the art form is an acquired taste. These records are a time capsule of fashion and exercise trend. Exercise records, the gimmick that sells the album, has a self life of about a week before they become out dated and silly. This album features "original" music. Side one through the third track on side two is layered with Debbie's voice counting on top of the tunes. That is a surreal experience in itself, but I thought I play, by-way-of-example, a tune without the voice over. This track has a great lounge feel to it. From the back cover: Every woman, regardless of age, wants to be all woman. She wants to feel that she is something special and unique. To feel dull and sexless is a needless waste of a woman's attributes. Below is vintage Debbie Drake exercise video. Early Crown release featuring a great cheesecake cover. Nothing to be found on Lester. 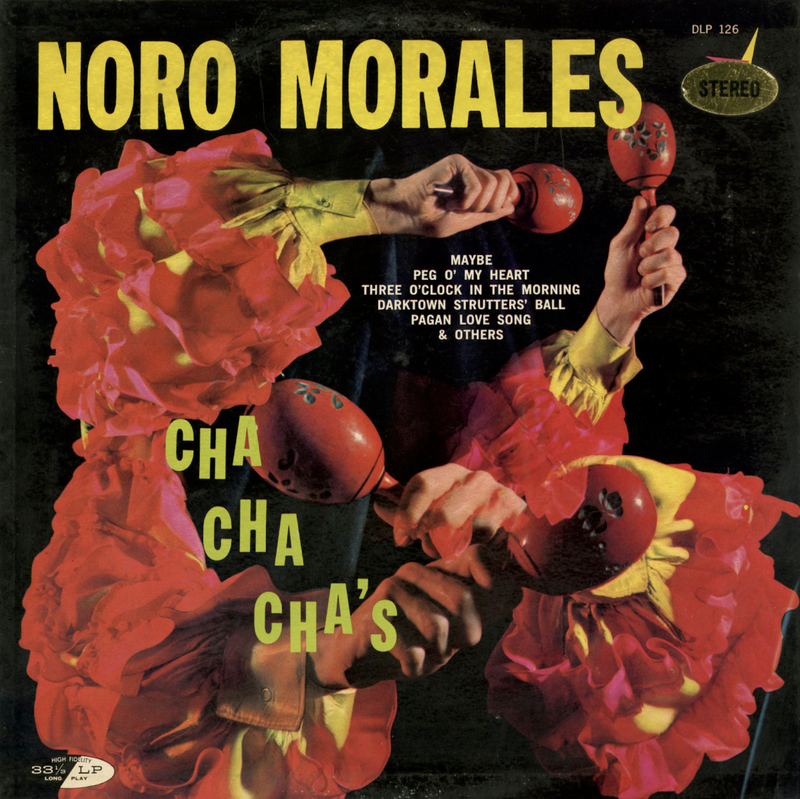 The album is a curious mix of standards covered in a standard way, a few light pop easy listening tracks and even a few uncredited solo vocals like the Louis Armstrong imitation above. Justis released at least three 12 Big Instrumental Hits records. 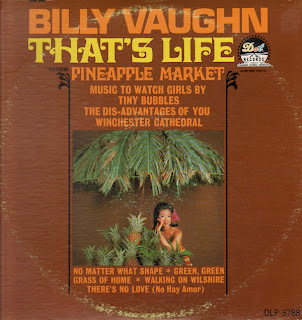 On this album, Green Onions, the first track on the B side is groovy. That tune is followed by a nice cover of Take Five. Wonderland By Night is my fav as it is, for sure, the most quirky tune on the record. There are a few cool tracks on this album. Also checkout: Windmills Of Your Mind. From the back cover: Enid Mosier studied dancing with Katherine Dunham, Pearl Primus and Asadata Dafora and made her Broadway debut to great acclaim in a non-singing role in "St. Louis Woman". A trip to Europe that lasted three years followed the demise of the show, and during this period Enid's vocalistics gained her a huge following in France, Germany, Holland, Switzerland, Spain and the British Isles. The Harold Arlen-Truman Capote musical, "House Of Flowers" brought Enid back to Broadway and night after night, she and Ada Moore stopped the show cold with their classic treatment of "Two Ladies in De Shade of De Banana Tree". 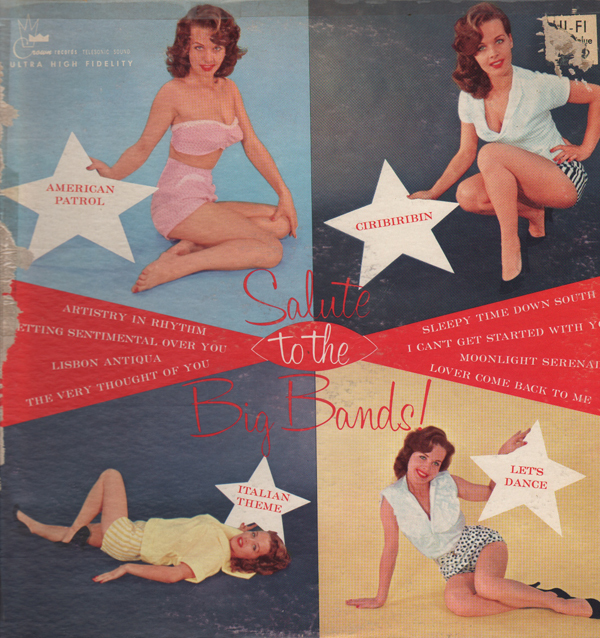 Now married to her superb drummer, Alfonso Marchall, Enid is delighting audiences from coast-to-coast. "No Cover - No Minimum" is needed to enjoy a most rewarding visit with this great performer. This album is a bit obscure. Mosier made one other album titled Hi Fi Calypso, Etc. on Columbia. Here's another terrific Denny release, all-be-it one of his later efforts. There seems to be less interest in Denny's later stuff, but I can assure you his work remained strong. This album is a 60s cool listening album stamped with the quirky Denny touches that make his music so unique. I doubted that I would ever stumble across a cover of Born Free that I would like, and here it is as crazy as it sounds with Denny writing his Quiet Village rhythm groove into the arrangement.